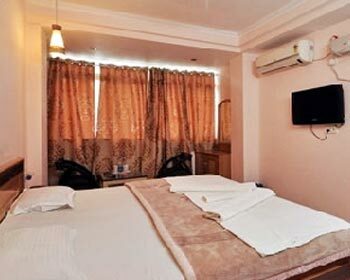 Hotel Ganesha Inn, located in close proximity to prime tourist attractions of Rishikesh make for the perfect accommodation option for travelers who are seeking comfortable stay at relatively cost effective price. There are many travelers who are seeking hotel accommodation within limited budget. 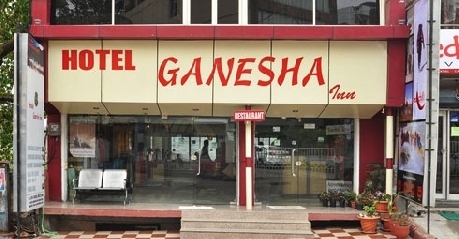 For such travelers, famous 2 star hotel, Ganesha Inn, is the place to be. It is simply the best option for both leisure travelers as well guests. 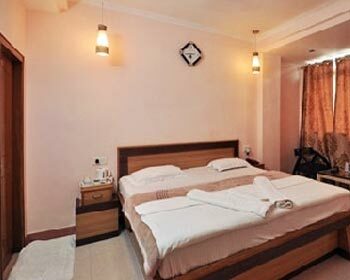 The hotel is situated on Lakshman Jhula Road, Tapovan, Rishikesh overlooking the pious Ganges. Breathtaking view that the hotel offers is amazing soothing eyes and relaxing mind. Rooms that the hotel offers are categorized as executive room, super deluxe room, deluxe room and standard room Ganga view. 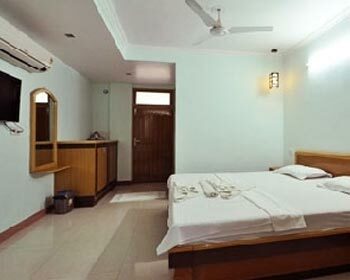 Executive rooms at Ganesha Inn are available at rates that do not give you run for money. These rooms are designed with care so that tourists can have memorable stay without having to shell out extra money. Travelers who decide to stay here can be assured to experience some great moments here. Facilities that travelers might get staying here are room service, doctor on call, laundry service, tea or coffee maker, running hot and cold water supply, television with cable channels, in room safe and access to high speed internet. Stnadard room Ganga view, as the name indicates, is for travelers who want to enjoy watching flowing mighty Ganga. 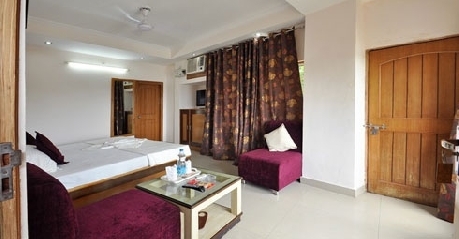 Each room in this category overlooks the pious Ganga offering a wonderful view. These rooms are well-placed with furniture that adds its overall look. 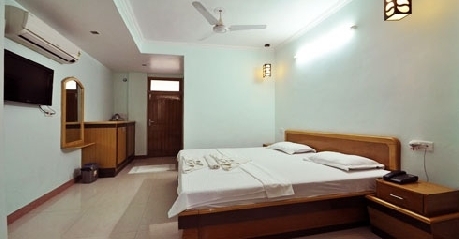 Some of the most basic facilities that travelers staying in this room might get are access to the high speed internet, doctor on call, laundry service, television with cable channel, tea or coffee maker, round the clock room service and running water supply. 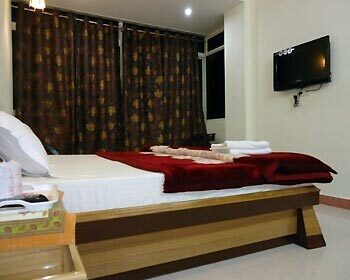 The hotel offers super deluxe rooms that are designed for the comfort that most of the travelers look for when visiting Rishikesh. Each room under this category is equipped with all the basic features and amenities that can add to your overall staying experience. Travelers who choose to stay here can get access to plenty of amenities that make their stay memorable. 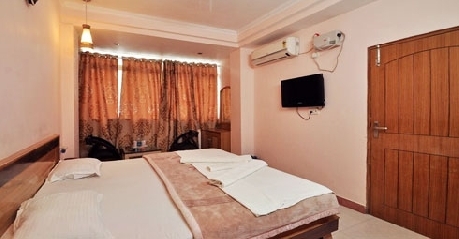 Access to high speed internet, doctor on call, in room safe, tea or coffee maker, round the clock room service, laundry service and television with cable channels are some of the facilities that you can get staying here. Deluxe rooms at the hotel make for the right option for those discerning travelers who want accommodation at affordable rates. Each room under this category is equipped with amenities that can add to your staying experience. Work desk, access to high speed internet, laundry service, doctor on call, direct dial facility, tea or coffee maker and room service are some of the most common amenities that travelers can get when choosing to stay at deluxe rooms. The hotel offers in house restaurant to all its guests so that they can enjoy dining experience as and when they feel craving for food. Here, guests are served with a range of mouth watering dishes. The entire ambiance of the restaurant is so warm and comfortable that you will feel like asking for more. Dishes are prepared with great care keeping in mind the standards of international hygiene in mind.